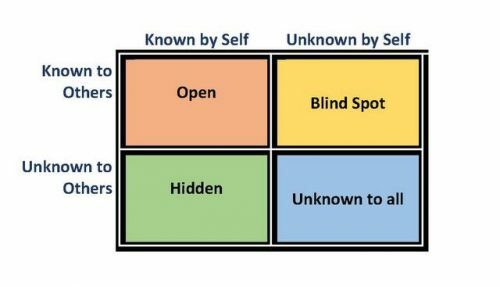 The Johari Window, conceptualized in 1955, is a uselful tool when one is working on growing in their self-awareness. This is a foundational element in peak performance. The key is to reduce blind spots about oneself. This requires reflection, contemplation, and often times, a good executive or life coach! The Johari Window also helps us to have better relationships, the key in all functions of business, whether you are in sales, hospitality, or healthcare. Take a look at the sections. There are things known to both us and others. There are things that others don’t know about us. There are things about us that neither others nor we know about ourselves. But the one area of perhaps greatest concern is what others know about us, but we don’t know about ourselves! This area represents our blind spots. 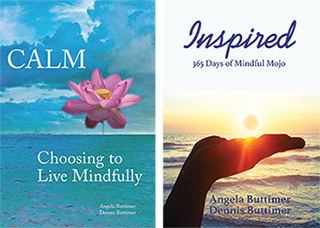 In Mindfulness, we teach beginner’s mind- being open and curious about ourselves and others. This flexibility in our perceptions allow positive growth and the reduction of suffering. Whether in personal relationships or organizational dynamics, Mindfulness can be an ally for greater peak performance and success, or what we like to call Mindful Performance. As executive coaches and life coaches, we have seen this simple tool help people tremendously in the personal growth and professional development.